The fifth grades at Whelan contracted with the commercial program over the summer of 2018. Although they had been using technology in the past, this school year has been their first venture in one-to-one learning. They received a classroom set of Chromebooks from the publisher, about which the 10-year-olds were very excited. In this example, personalized learning meant that all students completed the work for every subject on their own computers. The differences in these two classrooms were stark. In the first classroom, the students’ enthusiasm for the computers did not lead to visibly increased enthusiasm for learning — unlike the way that the harnessing of technology did in the blended-learning classroom. The class began units together, but individuals did not move on until they had demonstrated mastery of the material at designated checkpoints. On the day that I observed, the class was beginning a new science unit and were to review the process of making inferences. The (student) teacher placed a task in her dashboard and waited for it to appear on the students’ screens, but it never appeared. As a back-up, the teacher then connected her computer to the classroom projector and displayed the task to the students. What looked like a traditional worksheet appeared, with hypothetical situations and space for the students to type the inferences they made while reading the passages. She modeled for the class, then walked them through the necessary thought process for the first question, and they turned their attention to the computers to type their answers. The teacher circulated through the classroom, peering over students’ shoulders and making suggestions. Much of her time was spent managing the technology (e.g., “Earbuds should be out of your ears for this part of the lesson,” or “Screens down while I am talking, please”). Many students impatiently awaited the teacher’s help. I also had the opportunity this past semester to visit a third-grade blended-learning classroom. In this classroom, the teacher had organized the students into four heterogenous groups of four or five students each who rotated to one of four stations for 20- to 25-minute periods during a 90-minute math block. The students were learning the order of operations and practicing it in the context of multi-step word problems. One station (Station A) featured intensive small-group instruction with the teacher. She worked with each group in turn on a particularly thorny problem, while the students at Station B completed problems in their textbook independently. At Station C, a small group of students worked through a problem as a group. Prior to the start of the lesson, the teacher had chosen word problems to meet the needs of each individual group — no two were alike. The students followed a highly structured and practiced format, with assigned roles (e.g., manager, recorder) to solve the problem on a mobile whiteboard. Once they had achieved a complete answer, they borrowed one of two classroom iPads to make a short (two-minute) video demonstrating their thought process as they worked. At the final station, Station D, students worked on Internet-connected laptops to further practice their skills, on websites such as iReady and Zearn. Every group had one student who was known to be particularly good at operating the Chromebooks and navigating the websites; I witnessed students ask and receive help from one another when completing tasks. At every station, students demonstrated self-sufficiency and creative problem-solving. Some of these differences can be attributed to the skill and experience of the teachers and the students. The personalized learning program was new to the fifth-grade classroom I observed: as both the teachers and students become better acclimated to the technology, it will no doubt run more smoothly. The starkest difference between the two classrooms, though, was in the promise of digital technology. The goal should not be to replace the teacher, but rather to free the teacher’s attention so that the teacher can spend more time focusing on individuals. When chosen carefully, internet-based tasks can be individualized, engaging and automatically adaptive. The hallmark of this type of teaching with technology is that, while some students are engaged in tasks that are truly worthwhile and independent, the teacher can provide differentiated instruction to all. Programs that give every student a computer instead of time with a teacher are misguided. What schools should be doing is providing teachers with technology they can use, supporting them in learning how to employ it, and then trusting those same teachers to instruct students in how and when to use it appropriately. Note from the writer: The observations described below are based on single visits by the author rather than long term data collection. True evaluation would need to include extended conversations with the teachers, principal, consultants and other individuals in the school, about the program, as well as performance data. 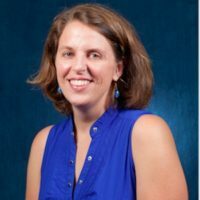 Marcy Zipke is an associate professor in the department of elementary/special education at Providence College, where she teaches educational technology, as well as reading and language courses.